Congratulations to our 2017 NCC Excellence Nonprofit Management Series Graduates: Nine students in the inaugural year of classes at NCC completed the Excellence in Nonprofit Management Series (l to r): Annette Savo, Lisa Campbell, Joyce Cerniglia, Nancy Hooke, Sarah Jacobi, Amy Leiser, Joan Marcus, Mark Mitman, not shown Lisa Walkiewicz). 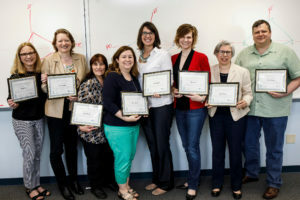 Following our continued success, Northampton Community College and The Nonprofit Center partner again offer the Excellence in Nonprofit Management Series* in the Lehigh Valley. 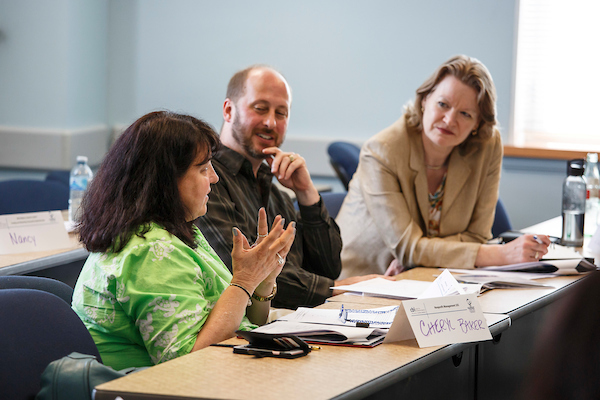 As the result of this well-received partnership, residents of the Lehigh Valley have convenient access to 10 full-day classes that provide knowledge and information essential to nonprofit staff and board members. 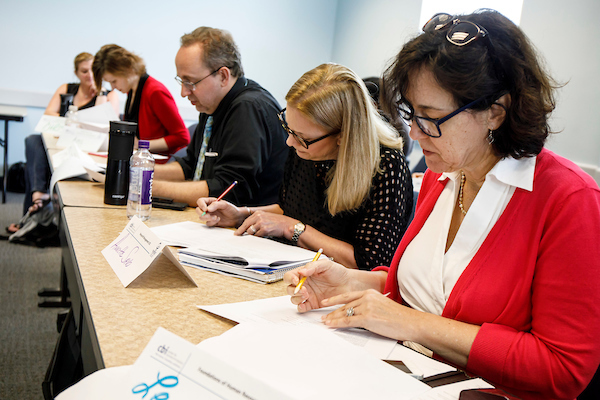 Excellence in Nonprofit Management Series, a non-degreed professional development program, will relaunch in September at NCC’s Bethlehem Southside campus, within the Center for Business and Industry. The Nonprofit Center offers more than 70 educational programs in the Greater Philadelphia area every year. “NCC and The Nonprofit Center are well matched in that we both insist upon small class size for maximum interaction and learning opportunities, we’re both committed to making our programs accessible to our audiences, and we are both committed to professional development,” Otten continued. Classes will be taught by the same professional instructors who teach in Philadelphia, using the identical curriculum. Topics include the fundamentals of nonprofit management, effective board governance, marketing, communications skills, program evaluation, financial management, fundraising, human resources, strategic planning, and leadership ability. Students will earn 6.0 Continuing Education Units, the recognized measure used to provide evidence of completion of continuing education requirements mandated by various professional bodies and licensing boards, as well as evidence of completion of training pertinent to particular occupations. Completion of these series have justifiably been noted proudly on participants’ resumes. The courses will be offered at Northampton’s Fowler Family Southside Center at 511 E. 3rd St. in Bethlehem. To register, go to NCC’s website or call 610-332-8678. *formerly known as a certificate, the name has changed but the experience, quality and depth of learning has not.